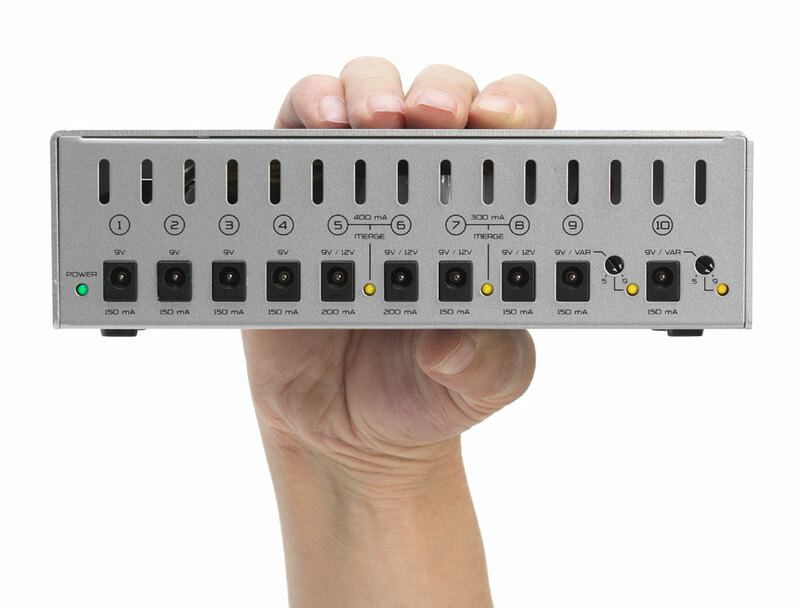 Your pedalboard is the sum of all its parts. Power your pedals with the same high-quality materials that every HardWire pedal is built with. 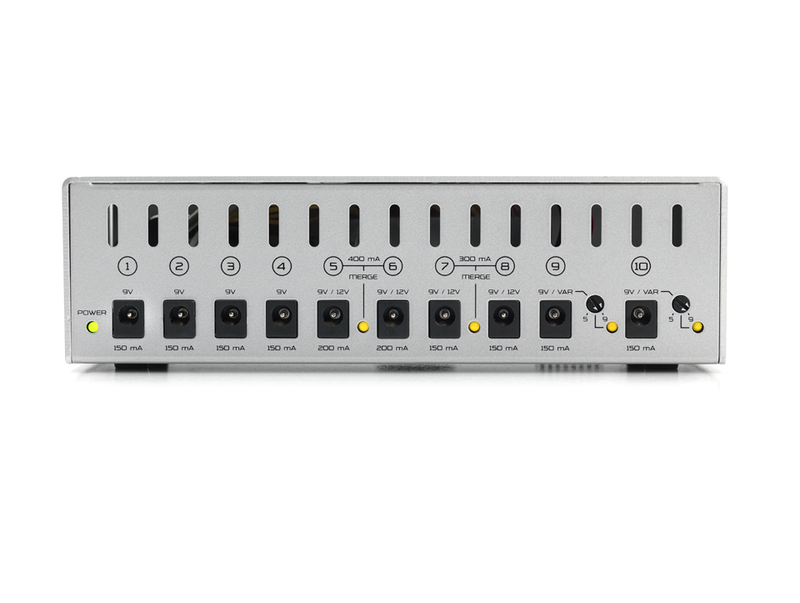 The CSA-Certified HardWire V-10 Power Block ensures ultimate tonal integrity, protection, and low noise for your pedalboard. 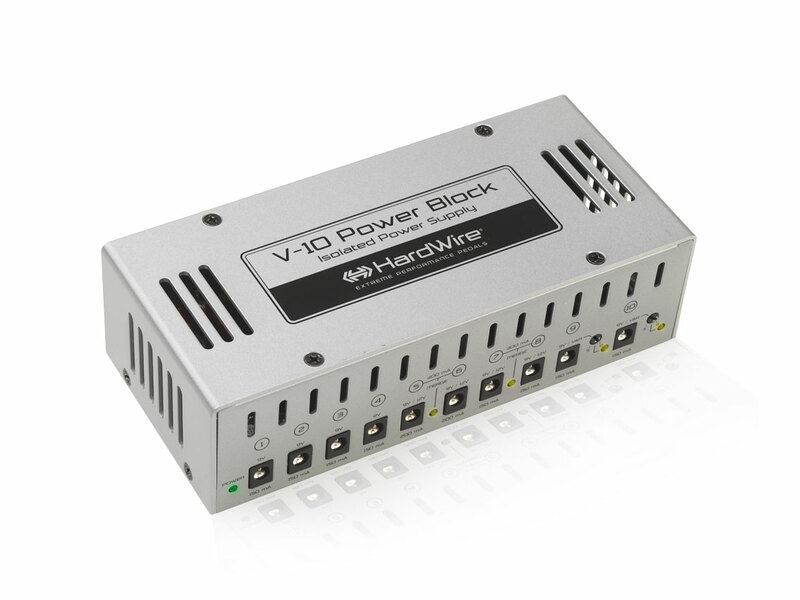 The HardWire V-10 Power Block’s 10 fully-isolated DC outputs are arranged to provide the power your pedals need with four 9V 150mA outputs, two sets of 9V/12V outputs that can be merged to provide 300mA or 400mA, and two more variable outputs to starve voltage from 5V-9V for the drained battery tone. The V-10 Power Block powers anything from vintage fuzzes to modern power-hungry digital pedals, all with low-noise fully-isolated outputs. 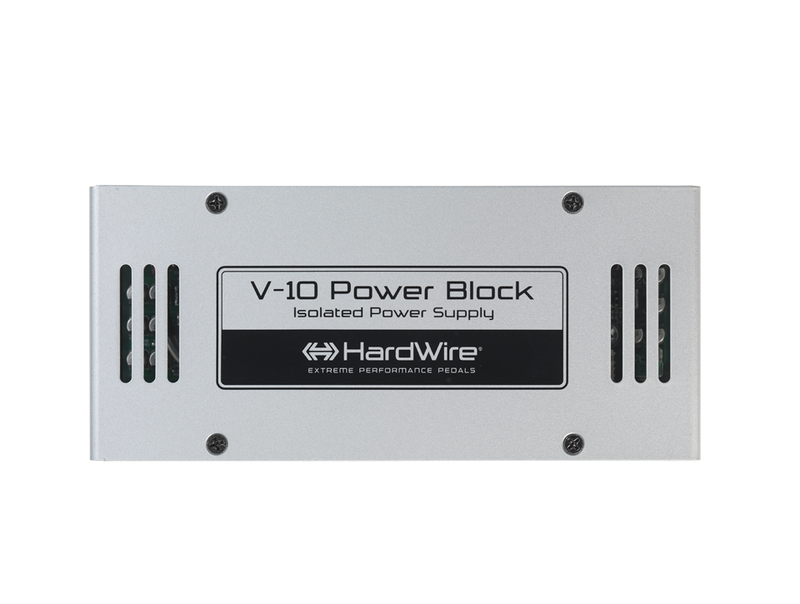 Power your pedalboard with the HardWire V-10 Power Block knowing that your pedals are protected and performing at the highest possible level night after night. And as expected, the HardWire V-10 comes with our exceptional 6-year warranty.